Psychonauts -- one of my favourite video games of all time -- is now free to play at Gametap from now until December 31st. Hopefully this promotion will help Tim Schafer's criminally-underplayed piece of artistic genius reach the kind of audience it has always deserved! 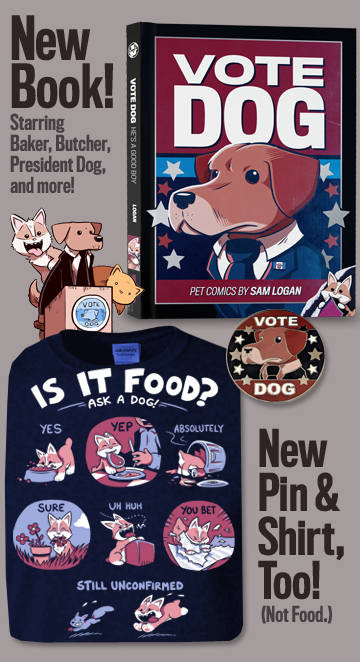 It's hilarious, it's beautiful, and it's free (to North Americans, at least). How can you go wrong? The Christmas season is quickly approaching! 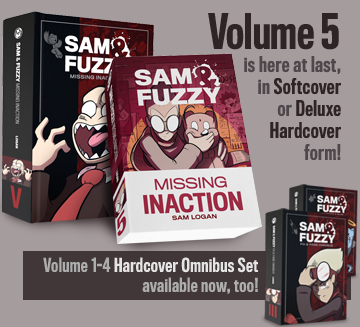 My distributor informs me that all orders for Sam and Fuzzy swag placed before November 30th are guaranteed to arrive before the holidays, but anything after that is a bit of a gamble. Plan your purchases accordingly!